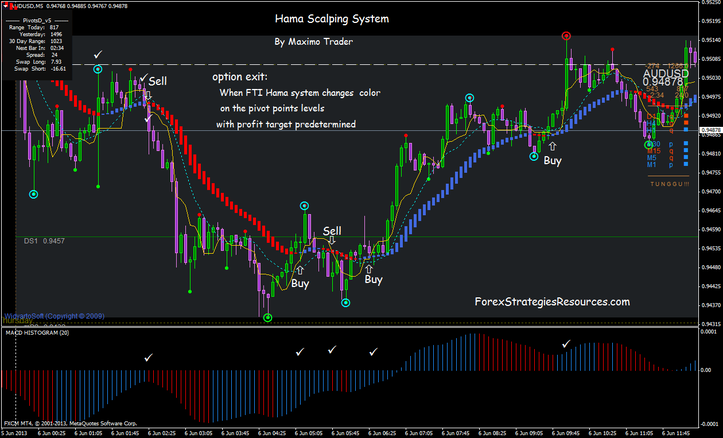 This is a price action scalping system based on x 3 Semafor indicator and FTI Hama system. Place stop loss on the previous swing. 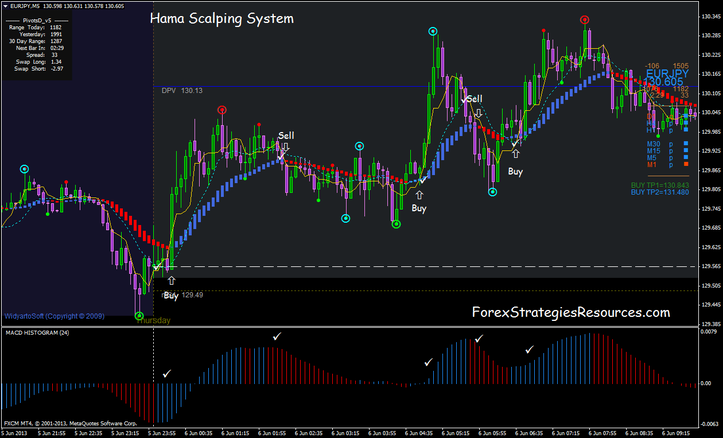 This Scalping System is good also for trade on the Binary options see version for trading on the Binary Options. In the pictures Hama Scalping System forex system in action.